The women's Team GB hockey team sang their way to touchdown as they arrived back in the UK this morning. The team, including Cambridge hockey player Hannah Macleod secured a first ever Olympic gold medal by beating the Netherlands in the final in Rio. The team were 'happy and glorious' as they recited the lyrics to God Save The Queen upon arrival to Heathrow. As Team GB celebrates its most successful Olympic games in over a hundred years - winning 67 medals, including 27 gold - our athletes have inspired the next generation of sports stars. Clubs and academies across the region are reporting a huge surge in membership enquires on the back of our performance in Rio, with young people determined to push themselves to the limit to become the medal winners of the future. "I remember in the Olympics Games of the 1980s being inspired by these incredible nations - the Soviet Union, China - doing amazing things that were almost beyond belief. We've got a stage now where the juniors in gymnastics, athletics and other sports are aiming to go to an Olympic Games to actually beat these guys and win medals. It's quite an incredible transformation." 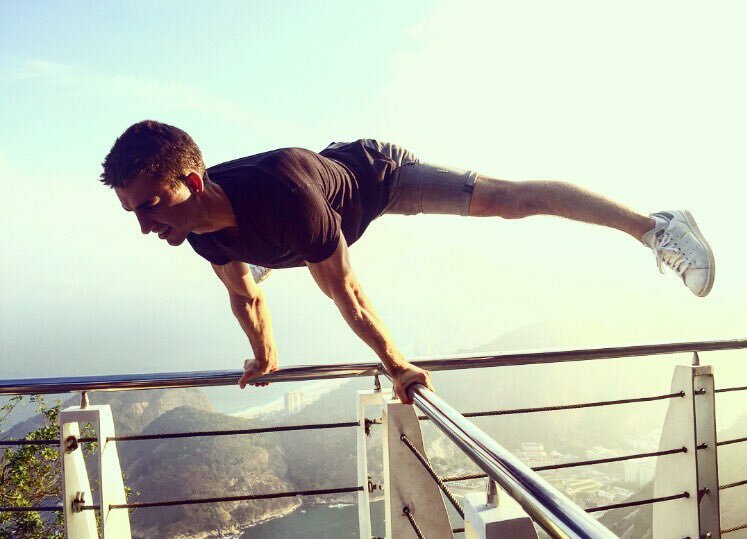 Double Olympic gold medallist Max Whitlock has been relaxing following his history-making achievements in Rio. The 23-year-old Hertfordshire star, who became Britain's first ever Olympic medal-winning gymnast, appears to have been practising his routines higher than usual. Here, Whitlock, who trains at the South Essex Gym Club in Basildon, is posing at the top of Sugarloaf Mountain in Rio. On Twitter, Whitlock said: "Needed to get a picture like this up the top of Sugarloaf mountain". The parents of Essex sailor Saskia Clark say they're 'over the moon' after their daughter won Olympic gold in Rio. The 36-year-old claimed silver in London four years ago but managed to go one better in the women's 470 class this afternoon. Her family back at the West Mersea Sailing Club watched her triumph on the TV this evening and talked to ITV News Anglia after the victory was confirmed. Kettering golfer Charley Hull could be in contention for a gold medal after jumping up to tied third on the leaderboard in the women's competition in Rio. The 20-year-old carded a superb round of 66 to move to -8 on day two. It means she's two shots off South Korea's Inbee Park who currently leads the rest of the field with two rounds remaining. Essex sailor Saskia Clark has won gold in the women's 470 class at the Olympics in Rio. The 36-year-old and her partner Hannah Mills just had to cross the finish line in this afternoon's medal race after opening up a considerable lead. New Zealand won silver and France took bronze. The triumph follows the success of Huntingdon sailor Giles Scott earlier this week who also claimed gold in the men's Finn class.